So the house hunt is on. This is the year we buy a house!... hopefully. The search for the perfect pad has definitely become an obsession - I have a whole Pinterest board dedicated to it! 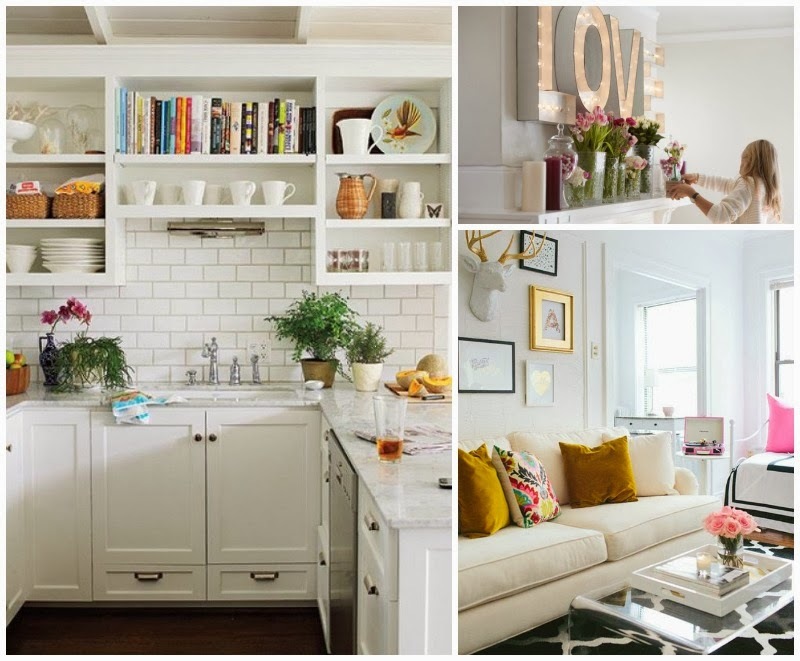 Having been renting for coming up to a couple of years, we are starting to learn what we like and how we would like our own home to look, its so painful not being able to decorate a rented place! 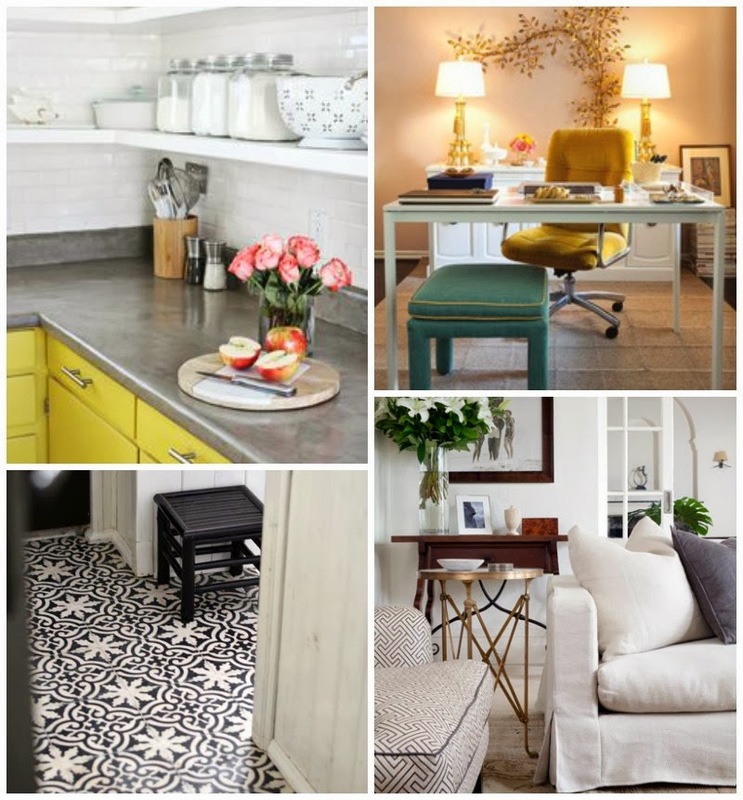 Through my Pinterest searches, I've discovered I like white glossy bricks in the kitchen, slate tiles under foot, flashes of gold/citron and clashing prints and fabrics. As you can see in most of these pictures, I seem to be drawn to white walls with flashes of strong colour and texture. In our current place we've been cautious about putting pictures and artwork up on the walls as they're so solid and we'll just have to patch it all up when we leave. As a result its not decorated as we would like, and has made me even more keen to find lovely bits and pieces to decorate the walls in our new place. I'd love something like this, or beautifully bright and colourful pieces. I've been looking around for reasonably priced impressionism originals for sale in the hope I can get something unique and gorgeous for our new place! Perhaps more within budget I've been stocking up on January sale bargains (with some additional help from Voucherbox UK) of gorgeous kitchen wares (my downfall), cushions and throws and a pretty impressive new bargain price mirror. Even on a budget, you can inject style and life into rooms with the most basic accessories - I'm particularly loving Zara and H&M's home departments for those finishing touches! Lovely! I can't wait to get our own place either, this year hopefully! I can't wait to buy a house and fully make it my own. My tumblr is littered with pics like yours!